Naturceutics, Inc would like to show our appreciation to our loyal customers and fans by hosting a monthly Give-A-Way! 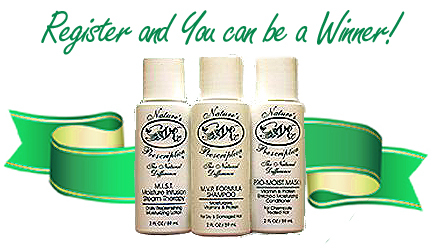 One lucky person will win a MVP Formula Starter Kit I (Travel Size). MVP Formula Shampoo 2 oz. Pro-Moist Mask I Conditioner (For Chemically Treated Hair) 2 oz. M.I.S.T. (Daily Moisture Replenisher) 2 oz. Enter your Name and email address below to register. (Must be a resident of the United States) Winners will be notified at email address provided. Register & Enter to Win!